This multipart series of articles is intended to help you getting ramped up with SharePoint Customization. It’s about modifying the default SharePoint user experience, list forms customization, branding, skinning SharePoint portals, etc. In Part 1, We introduced a generic function that can be used to hide the list view toolbar menu items (e.g. New Item, Upload, Edit in Grid view, etc). If you haven’t read it yet, I would encourage you do to that first. Today I’ll show you another two tricks for customizing the list form toolbar. Trick #2 : Hiding List Form Toolbar Menu Items! 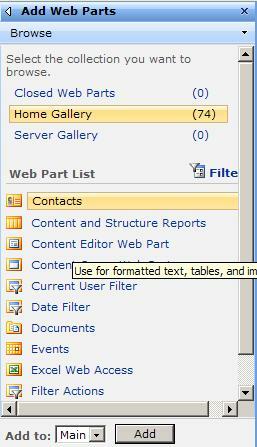 The following function can be used to hide any toolbar item in dispform.aspx. Just call the function passing the names of the items comma separated (e.g. New Items, Alert Me, etc.). The function removes the items and of course the images rendered beside them (if found). Download hideFormMenuItems.zip – 755 B , Trick #3 will deal with where and how you can add the function to your list form. Where the heck is Edit Page Menu Item?!! Just like the old version, it’s not available, I’m still not sure why they did that! Trick #3 : Just append “&ToolPaneView=2” to the URL and you will have DispForm.aspx in the Edit Mode in your Browser. remendous, we managed to hide “New Item” and “Alert Me”.What about renaming “Edit Item” to “Edit Program” and Removing “Delete Item” but leaving the small image (x)? That is what I’m going to cover in trick#4 in the next part! This multipart series of articles is intended to help you getting ramped up with SharePoint Customization. It’s about modifying the default SharePoint user experience, list forms customization, branding, skinning SharePoint portals, etc. 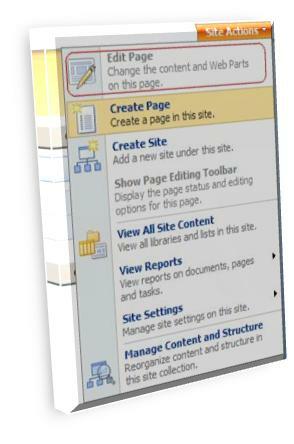 When I looked around the “SharePoint Landscape”, I noticed the lack of documented experiences in the SharePoint customization area and thus this multipart series of articles was born. Trick #1 : Hiding List View Toolbar Menu Items! The “HideCustomAction” feature can merely hide the items which have been rendered through the “CustomAction” feature framework such as Site Actions and Site setting…. etc. 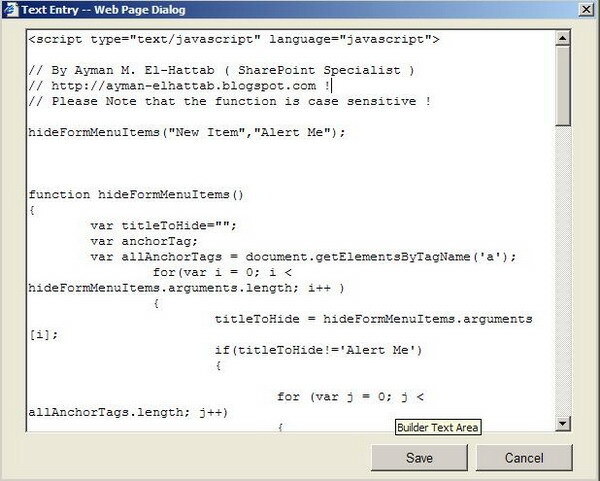 The ListViewWebPart menu items ( New menu, Upload menu, Actions menu,… etc ) are rendered through a class library as a web control from the Microsoft.SharePoint.dll so they can’t be hidden through The “HideCustomAction” feature. You can use this function to hide any menu items rendered in the ListViewWebPart toolbar which is used in the list view pages, just call the function and pass the menu item names ( comma separated ) as they appear in the toolbar ignoring the case. Only one exception to that when you need to hide “Create View” which appears twice one in “List Settings” and the other one in the view selector, in order to resolve this conflict just call the function as follows : hideListViewToolbarItems(“settings:create view”) or hideListViewToolbarItems(“view:create view”).